I accept just about all forms of payment, (PayPal, all major credit cards, Etsy Gift Cards, etc) and have even offered layaway for customers when needed. Don't hesitate to ask!!! I'd be happy to work something out! I do ask that standard invoices be paid within 24 hours to avoiding any delay in production. I also am happy to offer repairs and resizing on your personal jewelry. Please message me, and include a photo of the piece so I can see if it is repairable and offer you a quote before you ship it out. I gladly ship internationally. All domestic packages ship through USPS with tracking and insurance. If you would like to upgrade to Express shipping for an additional fee, please ask before paying. All ready made pieces listed in my shop will ship in 1-3 days of payment, unless alterations are requested. Some finished pieces can be resized, just be sure and ask before purchasing. Have an idea of something you would like made? Send me a message and we can discuss a custom piece. I also offer wholesale options for resellers. All of my work is done in solid sterling silver, unless otherwise specified. I fabricate all pieces and parts from sterling silver sheet metal and wire. Each setting is handmade for the individual stone. I buy all of my stones in person, not online. I prefer to see and touch each stone to be sure of its quality and color. 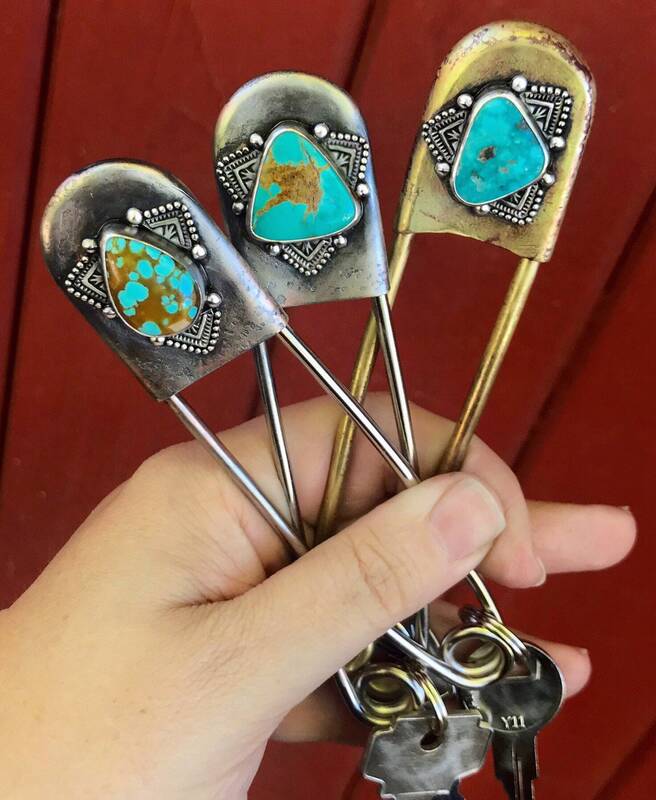 I buy from a highly reputable national supplier, that specializes in turquoise. 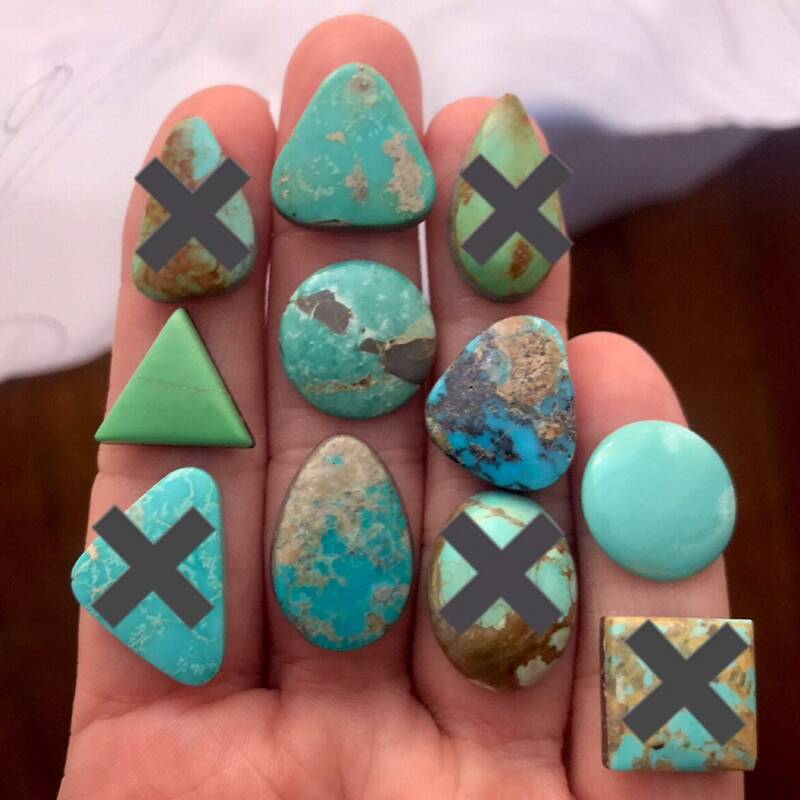 Turquoise is my drug of choice, having lived in the Southwest, and I can often tell you the specific mine your stone came from. As with all natural products, no two pieces are exactly alike. I use high grade Turquoise and other stones to ensure durability, but stones still need to be cared for and loved. They are not indestructible, and will crack or break if mistreated. I always suggest avoiding rough conditions, showers, swimming etc...and beware of products such as soaps, perfumes and lotions. They can overtime dull and discolor your stone. I am not responsible if you break your stone, so treat them respectfully. All designs, photos, and other content is © Flora and Fauna Jewelry 2014-2016.